Showtime announced today it has issued a 10-episode series order for a new live-action TV series based on the Halo video game franchise. The series hails from Microsoft/343 Industries, Steven Spielberg's Amblin Entertainment, writer/executive producer Kyle Killen (Awake), who will serve as showrunner, and Rupert Wyatt (Rise of the Planet of the Apes), who will executive produce and direct multiple episodes of the series. Here's what Showtime president David Nevins had to say in a statement. "Halo is our most ambitious series ever, and we expect audiences who have been anticipating it for years to be thoroughly rewarded. In the history of television, there simply has never been enough great science fiction. Kyle Killen's scripts are thrilling, expansive and provocative, Rupert Wyatt is a wonderful, world-building director, and their vision of Halo will enthrall fans of the game while also drawing the uninitiated into a world of complex characters that populate this unique universe." Since its debut in 2001, Halo has sold more than 77 million video game copies worldwide and grossed more than $5 billion in sales. In its adaptation for Showtime, Halo will take place in the universe that first came to be in 2001, dramatizing an epic 26th-century conflict between humanity and an alien threat known as the Covenant. HALO will weave deeply drawn personal stories with action, adventure and a richly imagined vision of the future. Production will begin in early 2019, although no casting has been announced at this time. Killen and Wyatt will executive produce the series alongside Scott Pennington, with Justin Falvey and Darryl Frank executive producing for Amblin Television. The series will be distributed globally by CBS Studios International. In addition to creating the NBC series Awake, Kyle Killen created, executive produced and served as showrunner on Lone Star and Mind Games, and he also wrote the screenplay for the feature films The Beaver, which was directed by Jodie Foster and starred Mel Gibson, and Scenic Route starring Josh Duhamel and Dan Fogler. There had previously been a big-screen movie adaptation that was in the works for many years, with Neill Blomkamp once set to direct for producer Peter Jackson, but that project never got off the ground. The popular video game series has spawned a number of other adaptations, such as mini-series' like Halo 4: Forward Unto Dawn, starring Thom Green, and Halo: Nightfall, starring Luke Cage's Mike Colter. This show will seemingly follow the events of the original game, but with five games in the main franchise, and several spin-offs like Halo Wars, Halo Spartan Assault and Halo: Spartan Strike, there is no shortage of material for the show to mine in further seasons. Rupert Wyatt served as an executive producer on Fox's The Exorcist, while directing the show's pilot episode, and he's also directing the upcoming feature Captive State. Justin Falvey and Daryl Frank are coming off the six -season run of The Americans on FX. They are also producing the new NBC drama series Reverie. 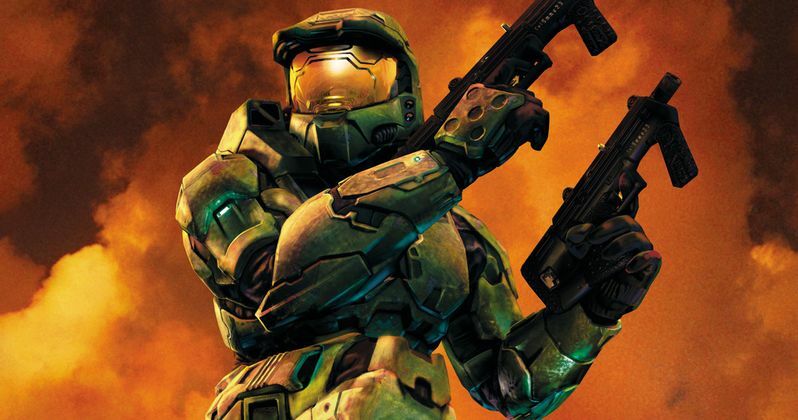 Spielberg's Halo TV Show Begins Shooting This Fall?